Theoretical Girl is a one woman disco post-punk show; heavy on the eye liner. Actually that is a bit of a fib because the lo-fi Ladytron has been known to play with an all girl backing band live. 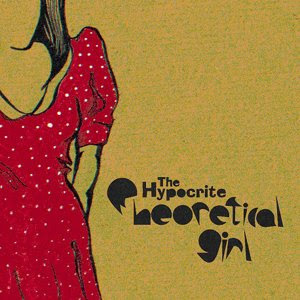 I finally managed to score her 7" single "The Hypocrite" and while this A side is the more obvious hit (there is something vaguely Berlin about this track) I am more partial to the less new wave, more gentile B side "Never Good Enough". For those of you disinterested in tracking down the wax this single is available on eMusic and iTunes.